Here’s the scary part about Davos: You schlep to this Swiss redoubt expecting to meet a secret colony of people in the know. But turns out they don’t know either. Which is in fact why they’re here, too — to find and interrogate people who do. This collective “pinging” feels more akin to a high-frequency trading platform than a seminar devoted to improving the state of the world. 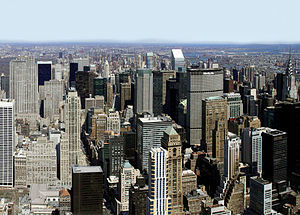 The cocktail parties are no more than lubricated information markets, where each node is trying to calibrate itself based on information transmitted and received. What emerges about Europe, or social media, or green energy is eventually rendered a mushy consensus. This is what they might call in Davos the market-clearing price of a thought. So, what was the mushy consensus? Imminent crisis averted in the Eurozone, dozens of CEOs in private interviews struck a remarkably similar tone about the world economy. It’s banal if only for the scramble of phrases: Some spoke of the timeless “caution,” others declared themselves “not pessimistic but not optimistic either” and “hesitant.” The only honest position seems to be this: No one has a clue. Perhaps the most provocative quote of the week, from an unnamed CEO. Such antipathy was in wide circulation across the week, as CEOs variously complained about financial overregulation, competing international standards, and European governments’ inability to change labor and safety-net laws. The struggle over corporate tax dollars — particularly in the strapped U.S. and Europe — is only beginning. There just doesn’t seem much trust left between government and business, which does not bode well. via The 10 Things We Learned At Davos – Corporate Intelligence – WSJ. 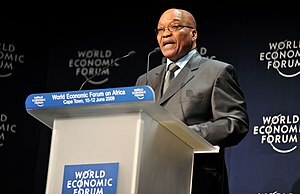 South Africa is to use the 2013 World Economic Forum in Davos, Switzerland to call for more investment in the country and to boost the continent’s infrastructural projects. The annual gathering of the world’s political, economic and business leaders takes place against the backdrop of a sluggish global economic recovery. President Jacob Zuma, who leads the country’s delegation, arrived this morning and will use the platform to promote the country’s vision for 2030, the National Development Plan. The gloomy weather over the Davos resort is perhaps a reminder of the current difficult global economic condition. Themed, ‘The Resilient Dynamism’, that is what top leaders hope to achieve as they put together their heads to get the global economy back on its feet. As South Africa tackles its triple challenges of poverty, inequality and unemployment, it hopes to use the occasion to lure more investments into the country. 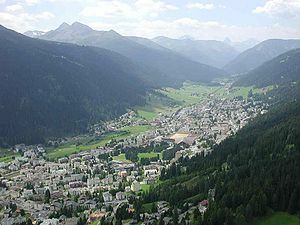 via SABC News.com – SA to call for more investment at Davos:Tuesday 22 January 2013. The South African Institute of Professional Accountants (SAIPA) has signed a memorandum of understanding with the Council for the Association of National Accountants of Nigeria to facilitate cooperation and allow members to work in both countries, the institute announced last week. The memorandum allows members of the one organisation to become members of the other, which will enable South African accountants to work in Nigeria and Nigerian accountants to practice in South Africa. via SA, Nigeria sign accounting agreement – SouthAfrica.info. A Pty Ltd company offers limited liability which limits financial risk and would protect your personal assets, etc. Also a Pty is a well-known standard of incorporation worldwide and looks organised and progressive in image. So overall it could be good for business. President Jacob Zuma will lead a South African delegation to a special meeting of the Southern African Development Community‘s (SADC’s) security troika in Dar es Salaam, Tanzania on Thursday. Zuma is attending the meeting in his capacity as chair of the SADC’s Organ on Politics, Defence and Security Cooperation. He will be joined by Namibian President Hifikepunye Pohamba, Tanzanian President Jakaya Kikwete and Mozambique President Armando Guebuza, who together make up the organ. High on Thursday’s agenda will be reports on recent political and security developments in the Democratic Republic of Congo (DRC) and Madagascar, as well as Zimbabwe’s elections. South Africa’s Department of International Relations and Cooperation said the 15-nation SADC was still the primary vehicle for South Africa to promote regional development and integration within the southern African region. “South Africa has a vested interest in seeing the regional political and security situation improve, which will create positive conditions for the improvement of the quality of life of South Africans and SADC citizens in general,” the department said in a statement on Wednesday. Zuma will be accompanied by International Relations Minister Maite Nkoana-Mashabane, who is already in Dar es Salaam for a meeting of the ministers involved in the body. via Zuma to lead SADC security meeting – SouthAfrica.info. JOHANNESBURG – In an industry that turns over more than R7bn annually, spaza shop township micro-entrepreneurs have a potential which cannot be ignored. 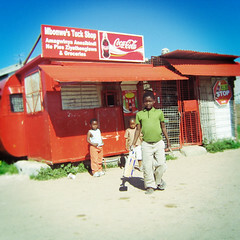 Emerging as micro-convenience stores during apartheid there are now an estimated 10 000 spaza-shops spread across South Africa according to the South African Cities Studies conference paper published in 2011. The Absa SME Index indicates that business ownership is on the rise but a majority of businesses in South Africa, two thirds, employ only one person. On average spaza shops employ between one and four people. The potential for sustainable job creation is evident. However, spaza shops exist in the informal economy meaning they exist outside of the institutional and regulatory frameworks. Spaza shops range from survivalist endeavours to complete mini-supermarkets. Christo Botes, executive director at Business Partners says that the challenge with survivalist entrepreneurs is that they have no vision and often do not have the skills or training to move their business to the next level. This is the current challenge being faced by local spaza shop owners in townships who are being forced to close down or are bought out by foreign spaza shop owners. The different approach to business adopted by foreign spaza shop owners has allowed them to compete against local spaza shops. via R7bn worth of untapped township potential – MyBusiness | Moneyweb.